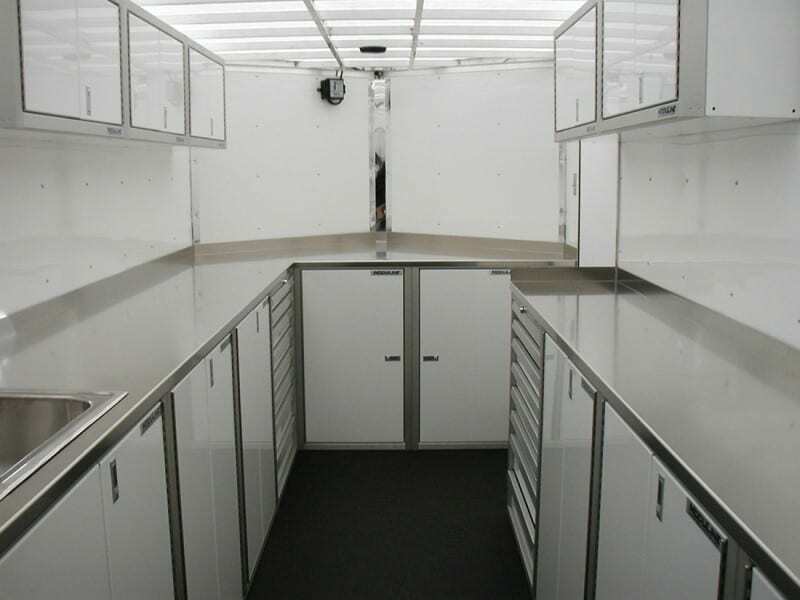 From new Generation Utility Vans to full size Fun Movers, Moduline Cabinets helps turn every square inch of your racing trailer, van, mover, or other vehicle, into a storage solution. 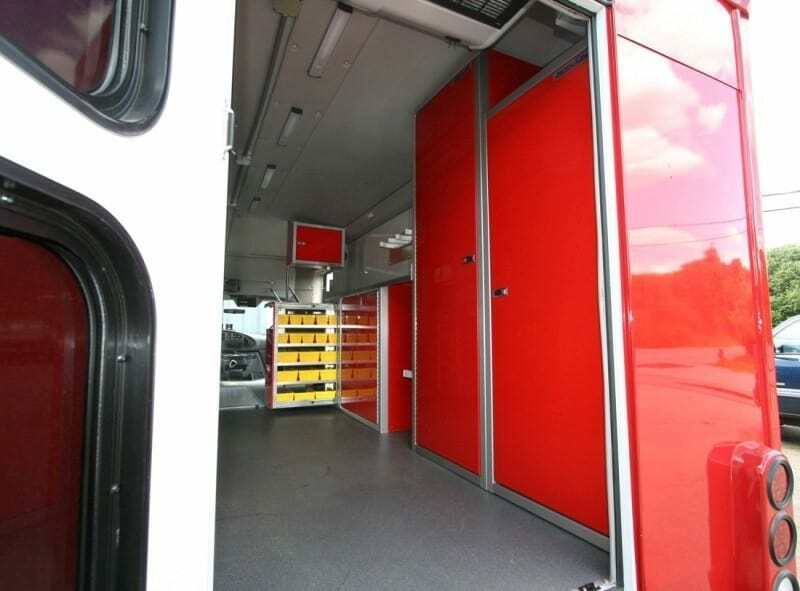 By using customizable drawer and shelf cabinets, Moduline Cabinets has several options for vehicle applications to help maximize the space. 1. Upper cabinets: Uppers, also called wall cabinets, are particularly useful for optimizing storage in the limiting confines of smaller spaces. They’re also made for a vehicle application. In upper enclosed cargo trailer cabinets, for instance, a trigger latch keeps doors secured when the trailer is in motion. 2. 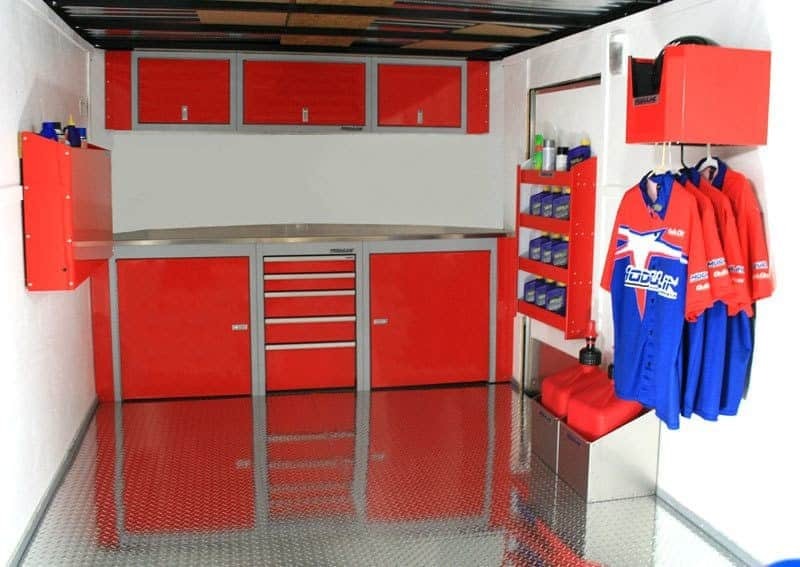 Lower cabinets: Lowers, or lower base cabinets are ideal for larger storage needs, such as tools, parts and equipment. They have a versatile array of customizable assemblage options. 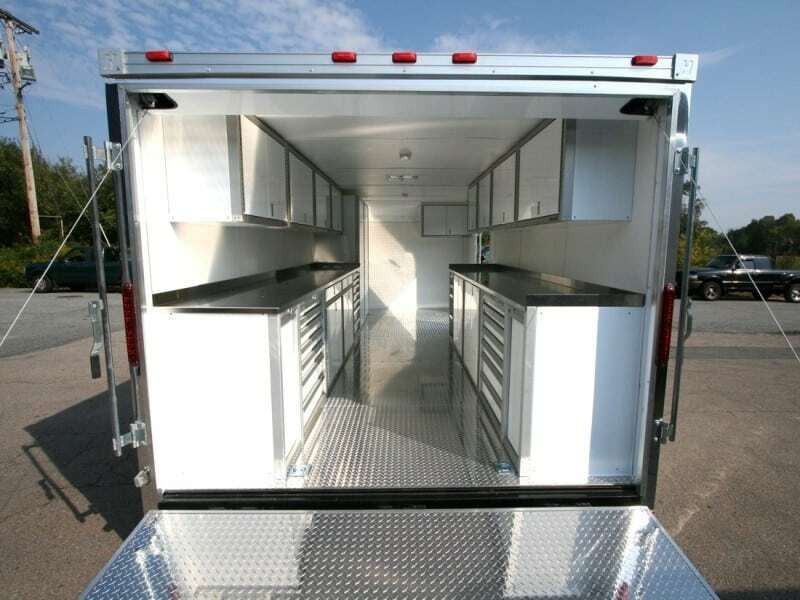 These durable cabinets also are crafted from lightweight high-alloy aluminum so they do not add any extra weight to the vehicle, which could potentially slow down the braking system, and add to gas usage. 3. The drawer unit: Aluminum drawers with a secured, easy-release QuikDraw® Latch can be opened with just one touch, but are secured when the trailer is in motion. Liners and dividers keep smaller items and tools in their place. 4. Countertop options: A functional countertop is essential for working inside the trailer comfortably. Moduline’s lightweight and durable aluminum, stainless steel, and butcher-block options are easier to clean than other options, such as plastic or resin. 5. 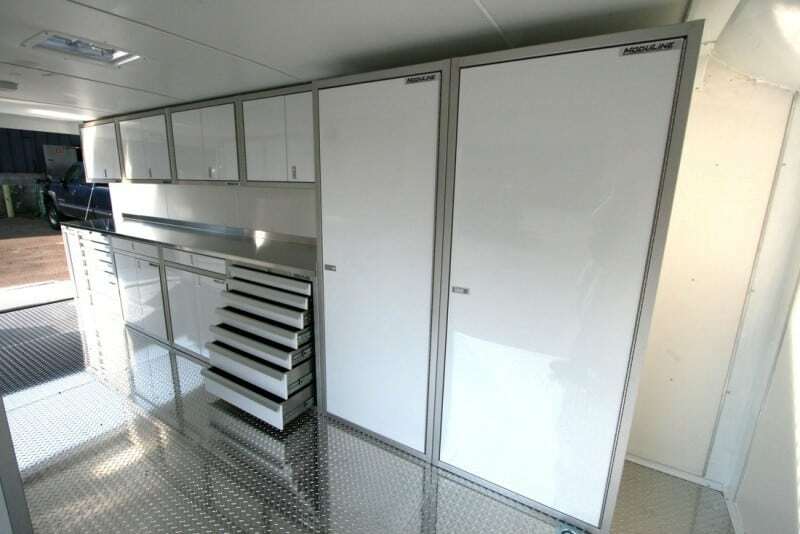 Modular mobile solutions: PROII™ Series Modular Cabinets will fit within the confines of any interior mobile space, no matter how large or how small. 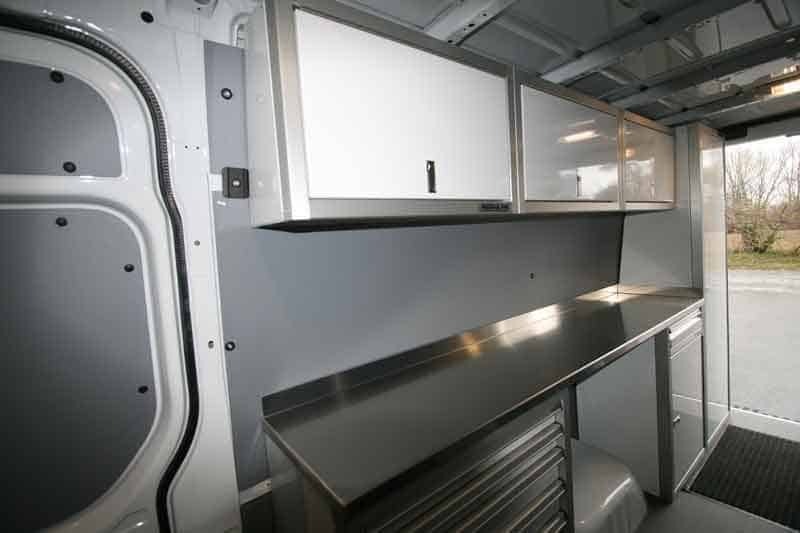 These aluminum cabinets are stronger than steel pound-for-pound, won’t rust or deteriorate, are easier to install and reduce Gross Vehicle Weight (GVW) to save on fuel and maintenance cost. 6.Standard and Custom Sizes: Moduline stocks enough variety to fit nearly all mobile spaces, but custom fits are available upon customer request. Moduline aluminum cabinets resist discoloration, rust and fingerprints, and won’t deteriorate over time, making them a better option than steel or wood. Our aluminum cabinets will look like new for years. In fact, we’re so confident that our aluminum cabinets are the optimal storage solution, they come with a lifetime guarantee.